Jazz has a soft spot in our hearts because of its timeless sound and the level of skill that required to make this type of music. The Bossa Nova style of Â Jazz is a personal favorite of mine and I want the world to know and love it as much as I do. You’ll hear this style from pioneer Tom Jobin who made timeless classics like “Girl From Ipanema”, along with modern musicians Esperanza Spalding and Gretchen Parlato. Veronneau should be added to this list of musicians who’ve taken on a genre with such a unique charm. 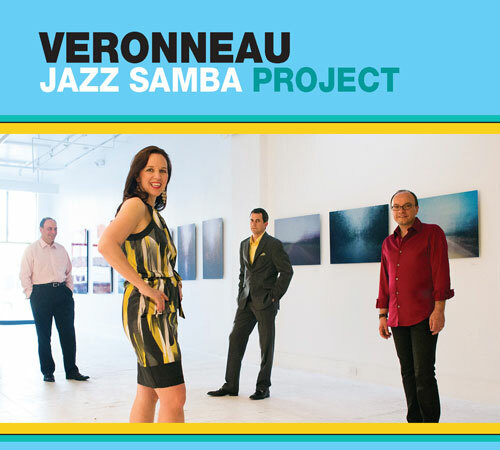 VÃ©ronneau’s first album releaseÂ Joie de Vivre (Joy of Living)Â quickly climbed Â into the top ofÂ Jazz Week’sÂ World Music chart and reached Top 10 status in a number of North American stations. It enjoyed airplay in Canada, England and Scotland where the band toured in 2011 playing festivals and club dates supported with live radio performances and interviews on BBC Radio and Radio Canada. To hear more from Veronneau,Â check out their website.